Thanks to archaeologists, we now know that cannabis has a long history of use as a medicine. There are cave paintings from Japan from the Jomon period with images of cannabis leaves. There are hieroglyphs from 1400 B.C.E Egypt showing an ancient goddess holding the infamous leaf. Cannabis leaves are so well known, it leaves little room for doubt about that our ancestors were worshipping. Today the cannabis leaf is a rallying point for many pot activists. The leaf has come to represent the plant as a whole, even if everyone is focused on smoking just the flower. But the leaf is one of the most unique aspects of the cannabis plant. Its distinctive shape sets it apart and makes it instantly recognizable. But besides its shape, is there more to know about cannabis leaves? The leaves are usually meticulously trimmed before the flowering stage, but they play a vital role in the health and development of the plant. The large fan leaves, located around the lower portion of the plant, soak up all the valuable light. Through the process of photosynthesis, the leaves feed the flower, eventually creating the bud we all know and love. Many growers use the leaves as an indicator of the overall health of the plant. For example, if the plant isn’t getting the nutrients it needs, the leaves will be lighter in color maybe even yellowed. Many diseases or insect infestations will also show themselves first through the fan leaves. Therefore it’s important to pay close attention. The first type of marijuana given a scientific name, the Sativa strain is recognized by the long, elegant points on each leaf. Each leaf has 13 separate points, and the edges are noticeably more jagged than other strains. The female Sativa plants are grown for their delicious buds. 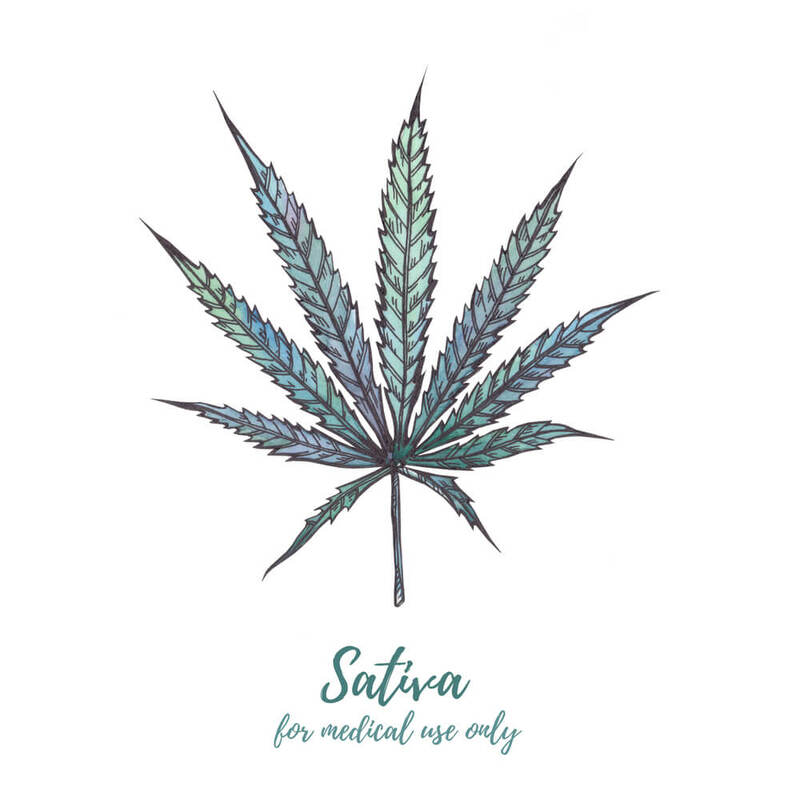 Unlike Indica, Sativa weed promotes a more creative and active high. On the other hand, male Sativa plants are grown worldwide and referred to as hemp. Industrial hemp is used to create an almost unlimited supply of goods, including clothing, foods, oils, and fibers. Because of its low THC content, it’s much more widespread than psychoactive strains. 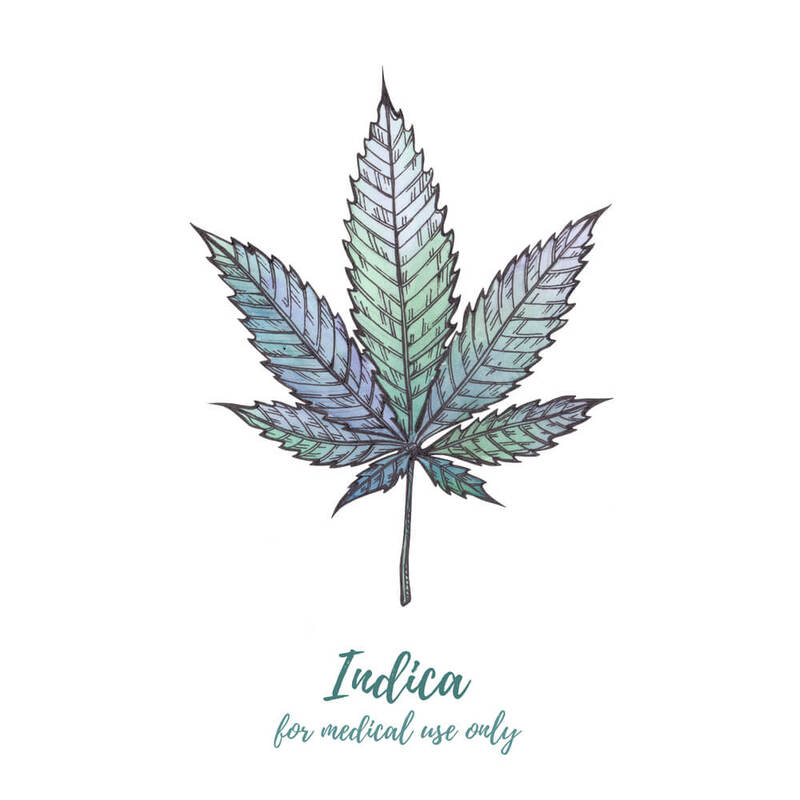 Indica is the more sedative type of weed and very distinct types of leaves. The leaves have seven to nine different points and are much shorter and fatter than the Sativa strain. Indica was the first subspecies identified and was named because they found it growing in India. What set it apart from the original strain was its potent medicinal applications. It continues to be a vital medicine in India, and now throughout the world. The third strain on our list is the least known variety of cannabis. 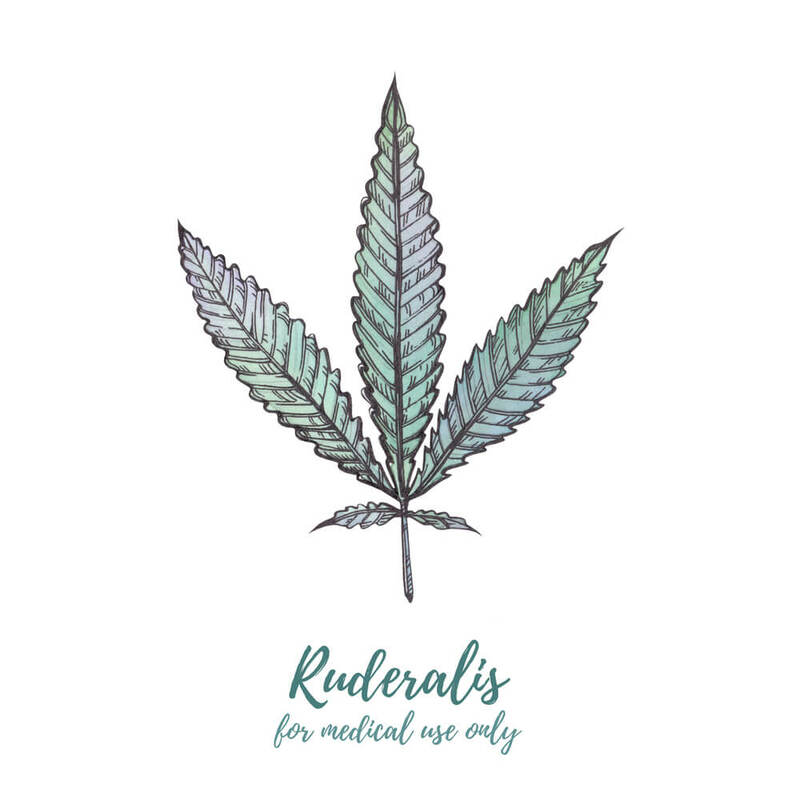 The Ruderalis leaves are similar in shape to the Indica plant, however usually have between five to thirteen points. It was the last strain discovered but has been used for centuries by Russians to treat depression. Some continue to argue that it is its own species and needs to be reclassified. Although cannabis leaves are often trimmed to make room for a denser bud, the leaves are not totally void of value. Some studies indicate that leaves contain valuable cannabinoids such as THC and CBD. The potency is always much less than what you might find in the bud, but this might be what you are looking for. 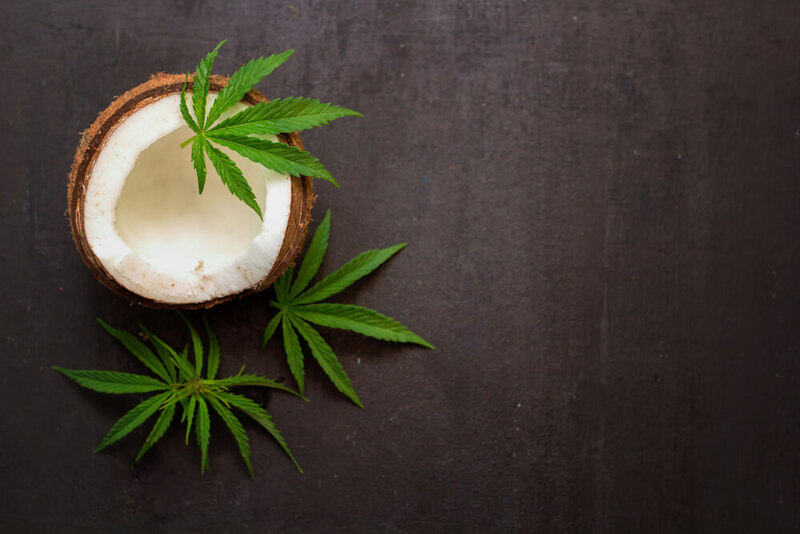 One study determined that fan leaves contained trace amounts of cannabinoids including, 0.3 percent of THC and 0.7 percent of CBD. 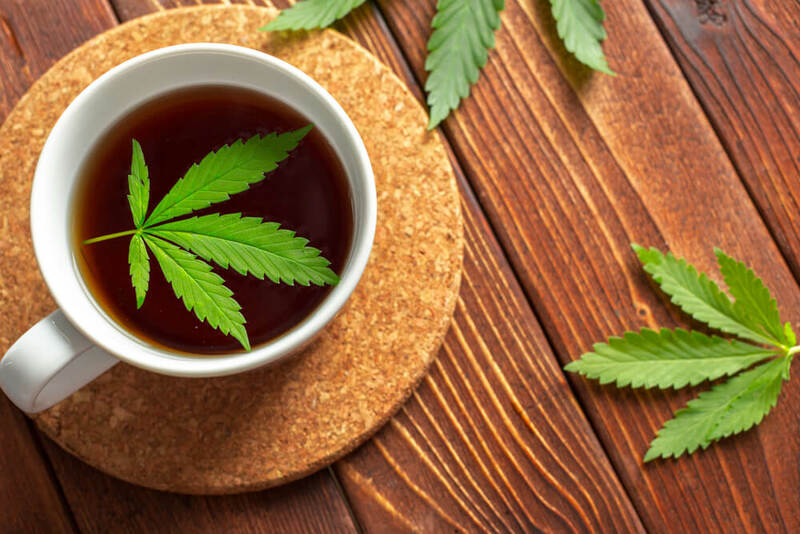 If you prefer not to get high when drinking weed tea, then weed leaf tea is perfect. The THC content of the leaves is not high enough to trigger a strong psychoactive effect. You will likely feel slightly relaxed, but not stoned. To make weed tea, boil water and add three tablespoons of dried (or two tablespoons fresh) weed leaves to a tea strainer. Steep the leaves for at least five minutes. To improve flavor, you can also add a bag of your favorite herbal tea, like ginger, and a dash of honey. Cannabinoids typically require a bit of heat to extract the therapeutic benefit properly. It also helps to infuse cannabis in a fat, as this helps make it more soluble upon ingestion. One easy way to do this is by heating Coconut Oil oil over low heat and adding marijuana leaves. Keep over low heat for at least 30 minutes or until you start to smell the weed. It should also turn a light brown or green color. Before the mixture cools, strain out the leaves and pour the oil into a jar. Once cooled it can be used to bake with or whipped up into a body butter to apply directly to the skin. Neither method will make you high, as the cannabinoid content remains low enough to be entirely safe for use. Raw is always better, at least that is the theory behind adding raw cannabis leaves into your morning smoothie. When combined with other superfoods, the cannabinoid content adds an excellent nutritional boost. 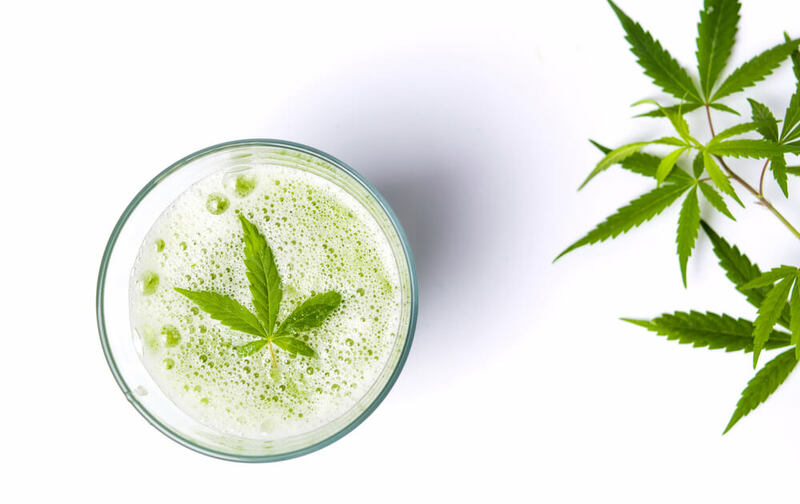 One of the newest trends in cannabis culture is also to juice with raw weed leaves. Some experts believe that consuming the leaves raw helps promote the nutritional and therapeutic benefit of the plant. 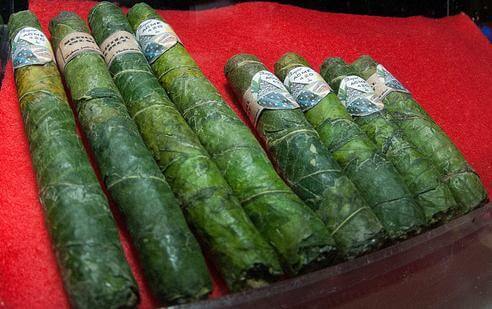 Next time you find yourself with some spectacular looking fresh cannabis leaves, why not impress your friends? It requires a bit of dexterity and practice, but can be done and makes a beautiful final product. Plus, you can use the leaves as a filter in a pinch if you don’t have one within easy reach. Check out one of the many Youtube videos here for inspiration.